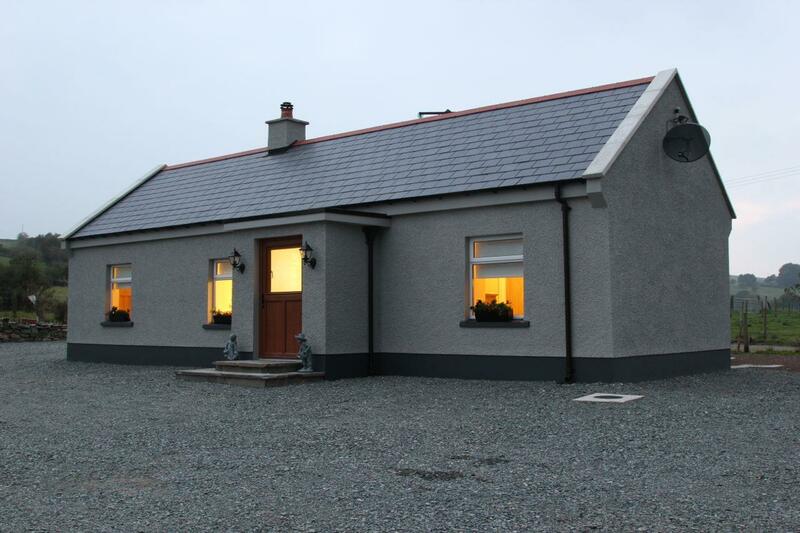 Pat Larry’s is a traditional family homestead nestled in the Owenkillew River Valley with stunning panoramic views of the Sperrin Mountains and rustic Tyrone countryside. This family owned cottage, part of a small working farm for over 200 years has been recently renovated and tastefully transformed into a self-catering cottage with a wealth of modern amenities. This cottage is located in the foothills of the Sperrin Mountains – known for their untouched natural beauty, their history, folklore and archaeological treasures. Weekly rates vary from £250 to £450 per week subject to time of the year. Shorter stays are possible subject to availability from £50 per night. This includes a welcome pack, electricity, heating, linen, towels, WiFi, day to day farm activities, and one bag of turf for the solid fuel stove. To make a booking complete the enquiry form or contact Isabella on (028) 8164 8898.